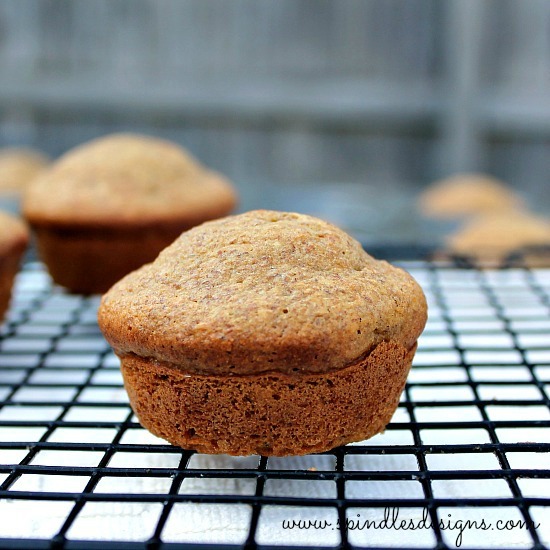 Bran muffins are another family favorite. 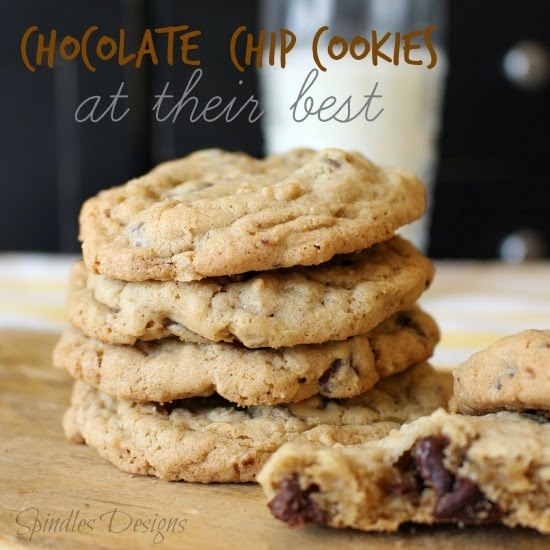 Well… the majority say they are a family favorite. The others say they taste too healthy. I think they are just against anything healthy so we’ll just ignore them when it comes to this recipe. 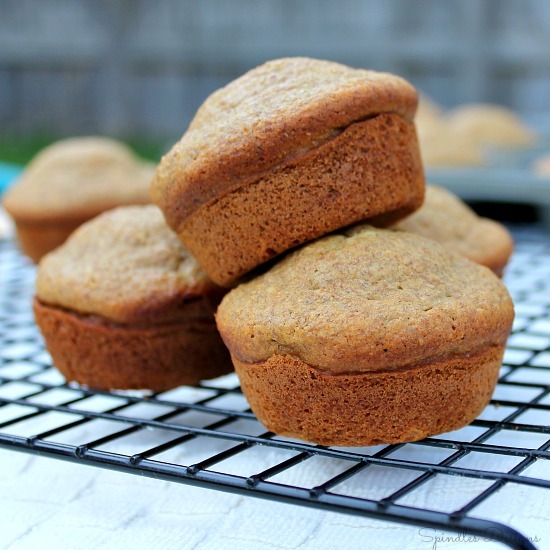 Bran Muffins are always soft and moist and they taste great. They also make the house smell wonderful. 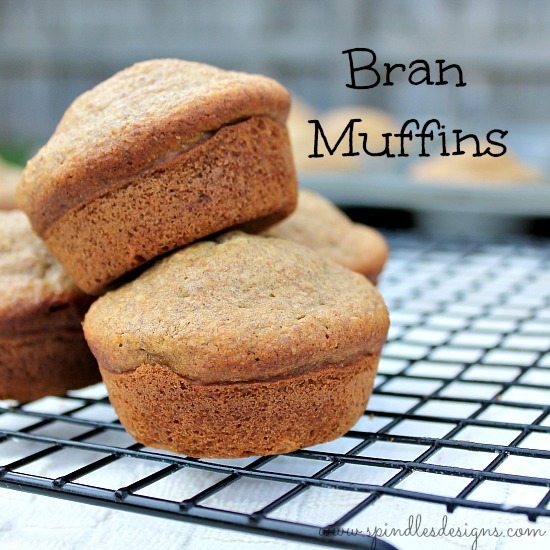 My kids love Bran Muffins for snacks. I almost didn’t get my pictures taken because I had little hands reaching for muffins. 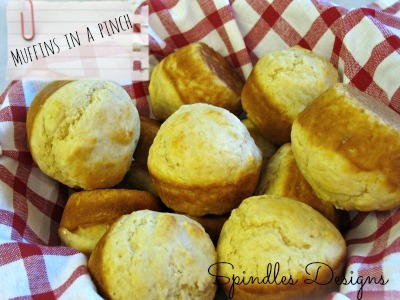 Another great thing about this recipe is the muffin batter will keep in the fridge for about 6 weeks. I’ve never had it in the fridge that long. We eat them really fast. Another hint – Bran Muffins freeze really well. I’ll bake the entire batch and freeze them for a quick snack through out the day or for crazy morning when we’re running out the door. Mix boiling water and soda. Set aside to cool. Cream butter and sugar. Then add All Bran, Bran Flakes, and flour. Mix well. Mixture will be thin. Put in the fridge for a couple of hours before baking. Bake at 375 degrees for 20-25 min. Store batter in the fridge for about 6 weeks. Do you bake at 350? And for how long? Ahh! I can’t believe I left that out. You back at 375 for 20-25 min. All fixed now I hope. Enjoy! I think I’ll go have one now.